Grass pitches are all levelled and designed to offer a degree of privacy, making the most of the Cornish sun. Grass pitches with electricity are all levelled and designed to offer a degree of privacy, making the most of the Cornish sun. Hardstanding pitches are all levelled and designed to offer a degree of privacy, making the most of the Cornish sun. 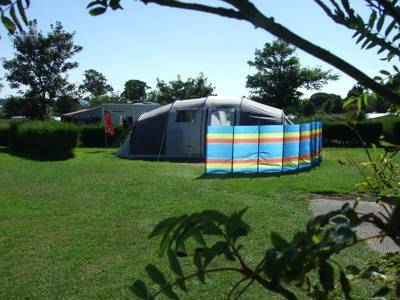 Hardstanding pitches are suitable for Motorhomes and Touring Caravans. Ask ten different campers to explain their favourite thing about East Crinnis Farm and you’ll probably receive ten different answers. 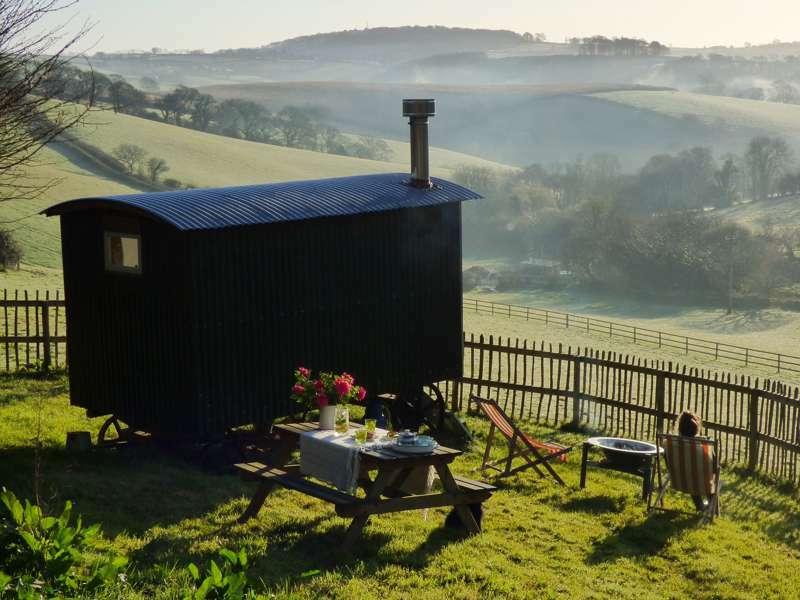 Some like its peaceful rural setting, others might opt for the sparkly-clean facilities, while a few may even choose the tasty Cornish pasties, served along with a night of storytelling round the campfire. 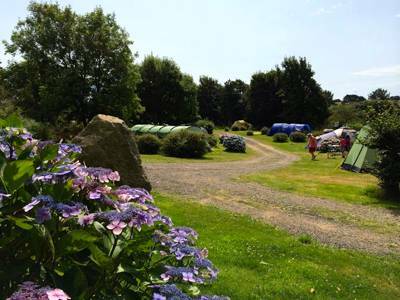 Whichever aspect of this family-friendly campsite takes your fancy, you will undoubtedly enjoy this rustic retreat in the heart of Cornwall, where time seems to stand magnificently still. The range of camping experiences on offer is pretty impressive. 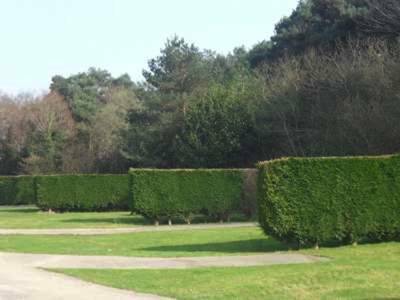 Traditionalists can pitch on one of the large, flat, grassy spaces, which are secluded by hedges. For those in search of creature comforts, log cabins and geodesic glamping domes are also available. 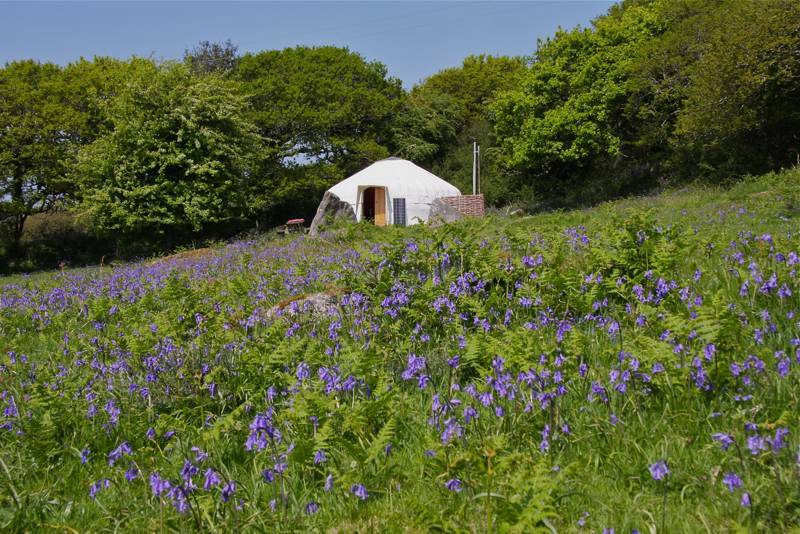 The domes are situated in an exclusive area of the site (catching the best of the afternoon sun) and come equipped with log burners. What’s more, a six-metre transparent allows for unimpeded star-gazing come nightfall. Although this is essentially a rural location, East Crinnis is only a short jaunt away from the beaches, ice cream kiosks and breathtaking scenery of the southern Cornish coast. It takes 45 minutes to wander the coastal path to Charleston harbour (of the BBC’s Poldark fame), following the high cliff edges above nearby Crinnis beach, while cyclists will enjoy the moors and mineral trails inland. But it’s not all about the Great Outdoors. The nearby traditional fishing ports of Mevagissey and Fowey both offer a pleasing variety of food and drink, activities and shopping, plus their very own summer festival season. After a busy day discovering the ancient kingdom of Cornwall, switching off the car engine and wind down at East Crinnis is a joy. 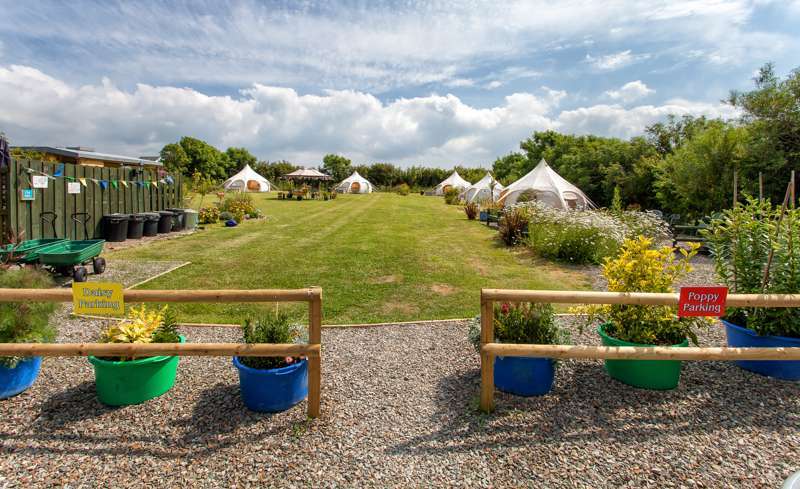 Despite the farm’s wide range of facilities, the general ambience of this place is far away from the ‘holiday park’ vibe you might expect: as the night draws in, parents sweep up their offspring and head for a sing-song and snacks round the campfire. Glampers, meanwhile, head back to their geodesic cocoons to watch the skies in comfort. 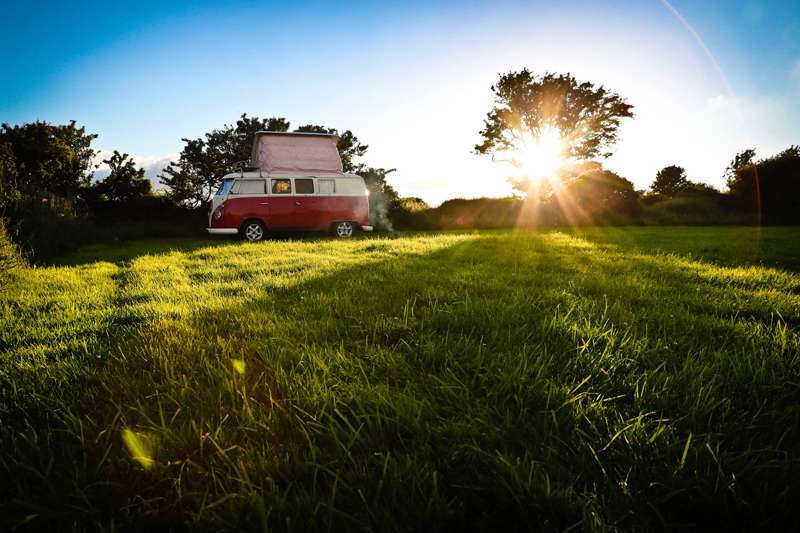 Whichever route you pick, this is camping as it should be, with a lovely atmosphere in a truly special location. 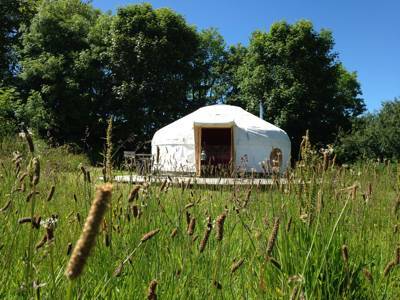 A rural camping and glamping retreat in the heart of Cornwall, where time stands magnificently still. 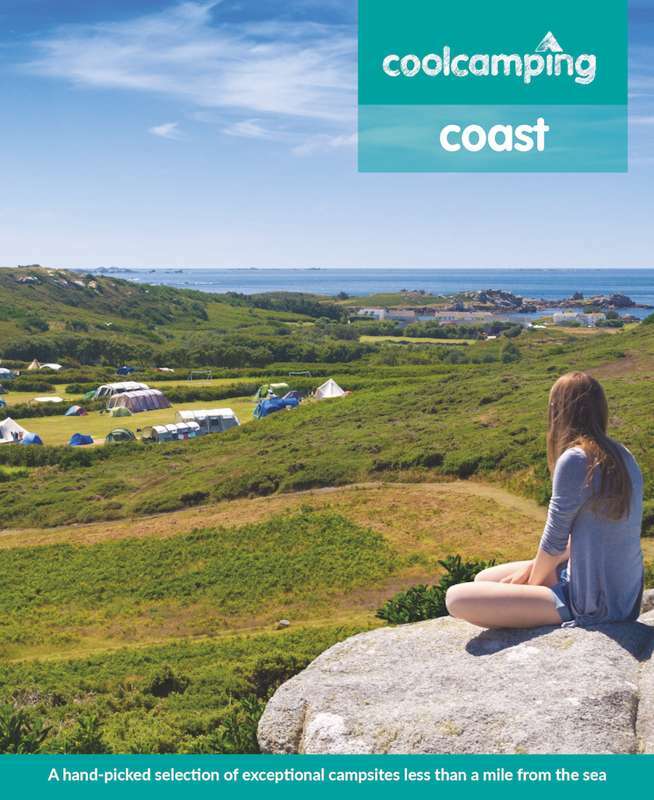 Although this is essentially a rural location, East Crinnis is only a short jaunt to the beaches, ice cream kiosks and breathtaking scenery of the Cornish coast. And the world renowned Eden Project is only 2 miles down the road! For latest availability and best prices for East Crinnis Farm, please use the Date Search above. We stayed for one night and had a great time. 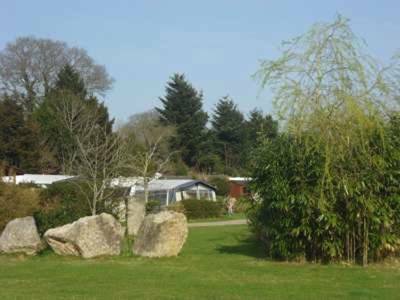 The site is very well maintained and the shower blocks were very clean. Good facilities for laundry and dish washing. The pitches were large and level. 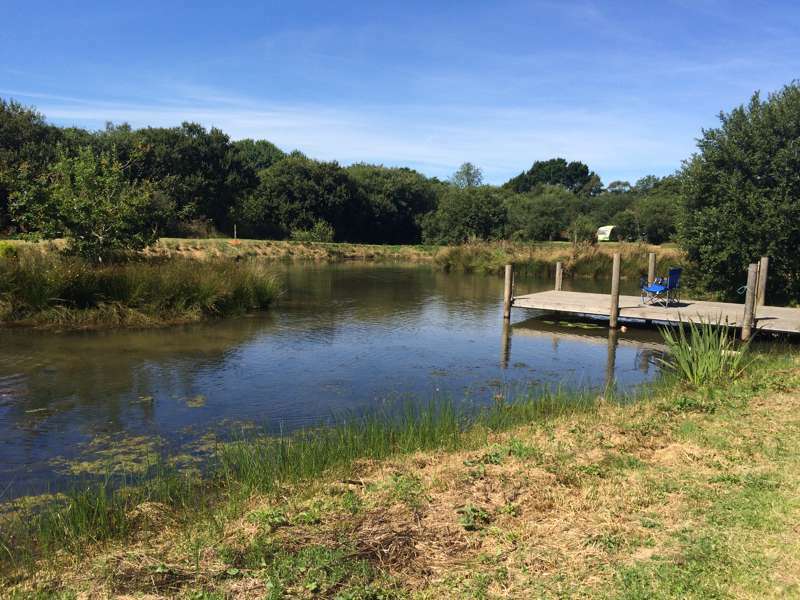 It is well located just outside St Austell and a five minute drive to the beach. No complaints whatsoever with this site but be aware, it’s very dark at night as the are no lights so a torch is definitely required. We just finished a relaxing week of camping in the Summer Meadow with our little one. We aren’t seasoned campers so we were a bit nervous, but needn’t have worried. The owner and staff are friendly and helpful, the facilities are spotless, the showers are warm, and there are microwaves, kettles, hairdryers etc. The shop stocks prosecco, G&T, local bacon and sausages and they make a good cappuccino as well. The pitches on the Summer Meadow are spacious, pretty and peaceful. We enjoyed the fireside storytellers on a Tuesday night. To top it all off, it is only a 20minute cycle ride to the Eden Project (there’s a “green” discount if you leave the car) and Charlestown. The Fowey Regatta was good fun, and St Ives a reasonable car drive away. There are plenty of shops a short drive from the campsite, but you would never know it sitting by the fire next to the tent. We will be back! 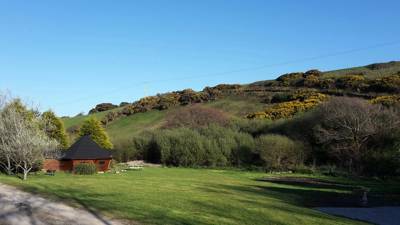 Just back from a week at East Crinnis Farm, and all the family enjoyed the stay. Bathrooms were really clean and convienently located in the centre of the site, the pitch (no. 30) was the perfect size for bell tent and had a great outlook across the cornfields, and the kids loved the outdoor chessboard, small play park and grumpy's pond where they had a go at fishing. The location is great for exploring Par, Fowey, Charlestown and Mevagissy by car, and Newquay is only 45min drive away and even though the main road to Par is close by the traffic noise was minimal as it isn't too busy a road. The other campers and caravaners were all pretty chilled out and the owners friendly and accomodating and the shop (open in morning and afternoon in peak season) had a good mix of hot food and essentials, and the supermarkets in St Austell are only 5 mins away in car for anything more substantial. We will hopefully visit again as it ticked all the boxes for a family of 5 with 3 kids under 10. 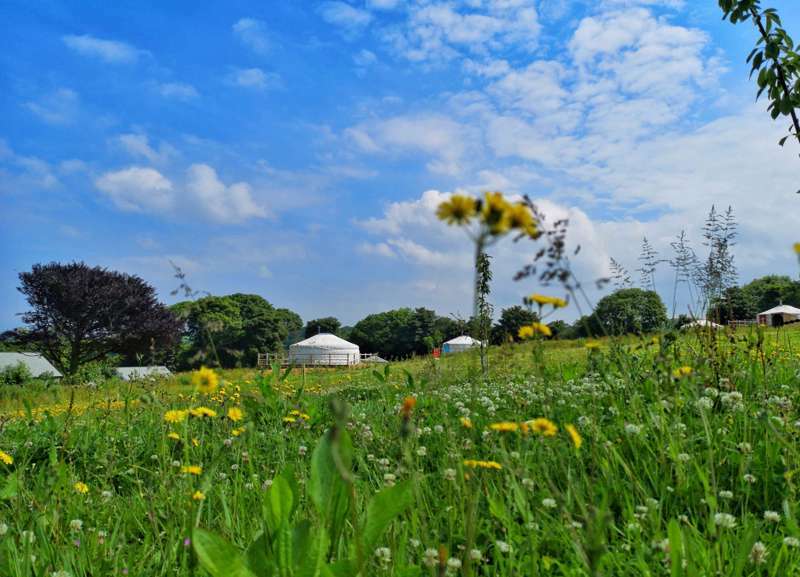 If your looking for more of a camping / glamping feel I'd opt for staying over on the Summer Meadow part of the site near to the field, yurts and pods.... but if you don't mind the odd caravan the pitches next to cornfield were great for a bit of peace and quiet. Pretty campsite with really good facilities. Including access to washing machine, microwave and kettle. Very clean loos and showers with a fixed hairdryer in the women's - one in the men's would be appreciated for men with longer hair :) We were in the meadow with plenty of space for each tent/ group. South-facing and protected from wind. Nicely squishy and flat pitches. Loads of birds - Don't disturb the nest of wrens which is in the rafters near the communal outdoor sink :) - can spot the babies beaks cuuute! Convenient for exploring the area by car and using as a base just for sleeping but not much in the area. 20 min walk to Carlyon Bay and £10 taxi up to Eden (maybe 25-30 back but downhill). Having a map for both of these included with the welcome info would be great - just a suggestion! Lovely welcome and the onsite shop/ food place is very reasonable though would be fab if they opened in early mid-eve rather than just the morning so you could get beer/ milk/ bbq/ a cuppa/ a bacon sarnie on arrival after a long journey. Personally I prefer more remote sites (quite a lot of background traffic noise here) but will definitely use again as it's the loveliest site I've found near to so many things. We have just spend 4 nights at East Crinnis and have nothing to complain about, it's a very clean campsite with everything on site. The little shop provide everything from toothbrush to wine, and all the essentials if needed. Clean toilet and lots of hot water for the showers. Everyone makes you feel welcome straight away. It's the perfect stop for people who wish to visit the Eden project only 7/10 min drive away, around 20 min of Charlestown, Fowey, Megavisey all full of charms 😀 Highly recommend we would come again, no problem. 40 spacious and levelled spaces, surrounded by flowers and shrubs, near to a backdrop of tall pine and fir trees. 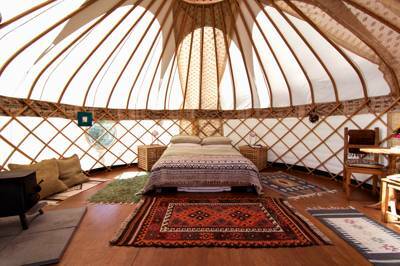 Yurts and a geodesic domes also available. 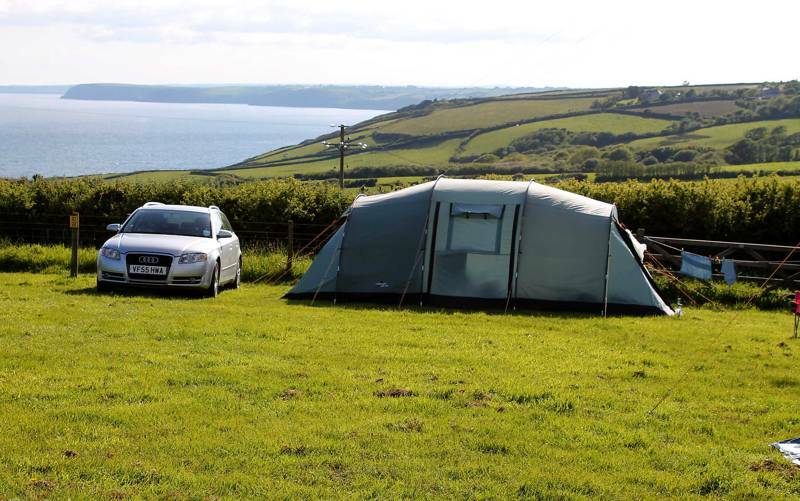 Tents, caravans, campervans, glampers, families and dogs (must be kept on a lead at all times) – yes. Shower block facility offering unlimited hot water, private areas, separate changing rooms, family bathroom, baby changing facility, hair dryers and individual showers. Disabled bathroom designed for ease of access with modern facilities and personal key access. Kitchen with freezers for ice packs, kettle, microwave, washing-up facilities and lots of fresh water points. Office/reception with small shop selling fun products for kids and some groceries. Laundry room with sink worktop, free ironing facilities, kettle, coin-operated washing machine/tumble drier and Wi-Fi. Weekly story telling around a camp fire during summer school holidays and free pasty super, giant chess, children's play area with slide, climbing frames, swings, see-saw, balance beams and nets. Waste recycling centre, chemical disposal and nature reserve with pond. A 15 minute walk takes you to the South West Coastal footpath, towering above the high cliffs of Crinnis beach. By car the wonderful Eden Project (01726 811911) is close by, whilst within 30 minutes you can reach the Atlantic surf of the north coast of Cornwall, the Duchy capital of Truro, The Lost Garden’s of Heligan (01726 845100) and the Roseland Penisula.King Arthur’s Castle (01840 770328) at Tintagel, Lands End, St Ives and The Minack Theatre (01736 810181) are also easily reached for a great day out. In Cubert, The Smugglers Den Inn (01637 830209) is a charming thatched-roofed pub with a friendly atmosphere, traditional food and local ales. More good eateries include: Sam’s (01726 832273) a cool 60’s style joint serving fish and famous burgers, The Old Quay House (01726 833302) with its award-winning restaurant and The Lifebuoy Café (07715075869), its welcoming staff and quirky surroundings ensuring a memorable experience. For that special occasion Austell's (01726 813888) offer 5 courses of sumptuous food matched with 5 finely chosen champagnes from the Deutz champagne house. The site is situated about half a mile from the A390 taking the Fowey turning by the Britannia Inn roundabout. Follow the A3082 finding us on the left hand side. You’re best driving to Cornwall on the A30 then take the A391 to St Austell then left at traffic lights on the A390 turning right at the next roundabout on the A3082. Sat Nav - PL24 2SD. Par railway station is only 1.2 miles away with trains arriving from London Paddington, Exeter and Plymouth, before continuing to St Austell, Truro and Penzance.